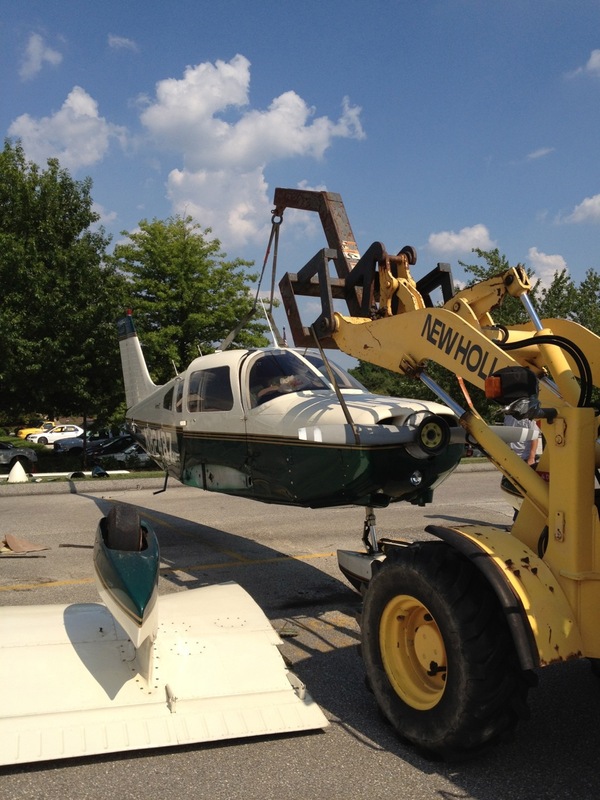 Dismantling an airplane for salvage. As you can see in the photo above, they have the wings off and are lifting the fuselage. It’s a shame because this plane had many years of flying in it. Not anymore. There was some surprising internal damage. Here’s another view. Damaged aircraft loaded for transport. 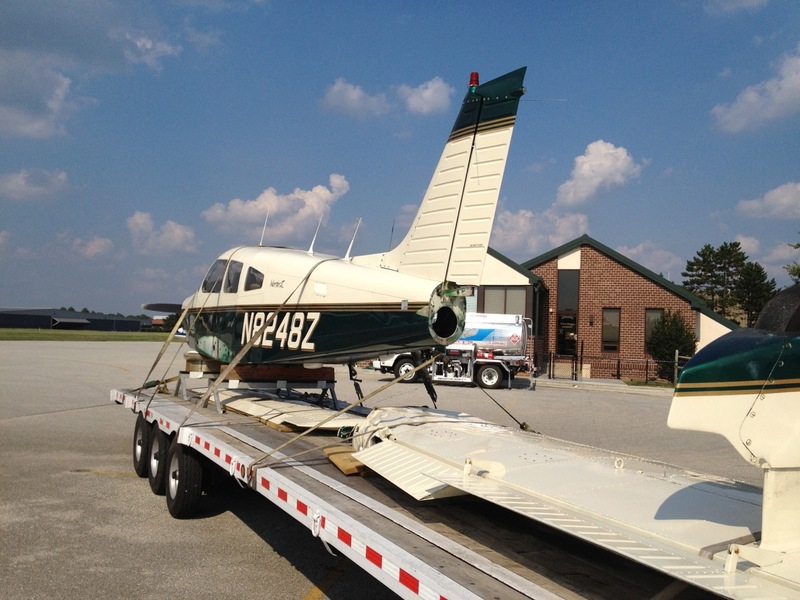 The plane was disassembled and loaded on a pair of flatbed trucks for transport to the boneyard. No doubt the pieces will be used to repair other planes, which is a good thing. So ends this episode. Remember, always do your checklist, and flying in machines and conditions you can handle.